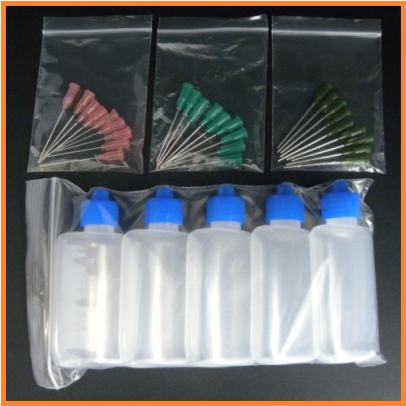 New convenient packaging of 100mL in transparent plastic bottles has been launched in 2011. The volume of adhesive is clearly visible. 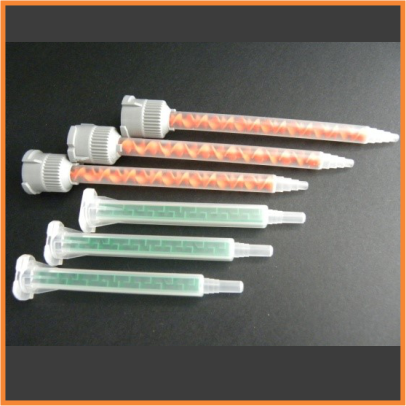 If nozzle becomes clogged allow to dry and wipe residue with tin wire or sharp pin. This size is packed in carton of 30 units. 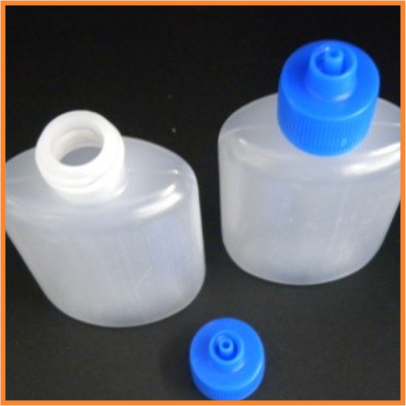 100ml Bottles with applicator and cap: This is new packaging developed for ACRI-BOND products and is supplied in suitable display box with 10 bottles. 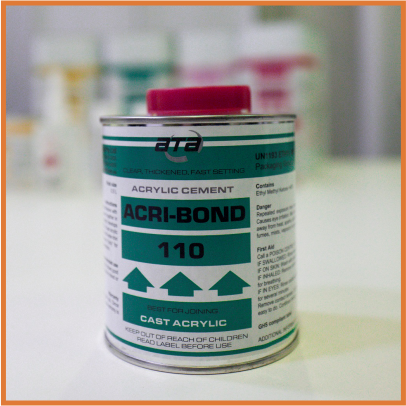 140gr tubes: Acrifix® 192 is supplied in this size tubes. Conveniently sized, this product has been packed in boxes of 20 tubes. 0.5L Can w/safety cap and screw-on spout as accessory: There are 6 cans per carton (3.0L of adhesive). We found that this sized can is popular with all fabricators due to its handy size. A new safety cap with a safety lid ensures prolonged shelf life through reduced evaporation. There is also a price benefit with bulk purchase by the carton. The screw-on spout is available on request. Also check with your supplier as it may be included at no cost as promotional item. 4.0L Can w/safety cap and a transparent screw on spout with blue cap as accessory: This size is suitable for those customers who are working on larger jobs where more adhesive is required at once. There are 2 cans per carton. The spout with blue cap is included with each can. 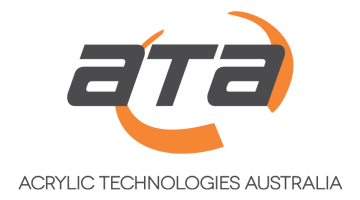 ATA Pty Ltd has a commitment to our customers to keep a reasonable sized stock on hand. However, our on-hand stock has been sized to comply with OH&S requirements and our DG safe-handling policy is to keep the stock at the lower recommended limits. When it comes to imported products required in larger volumes, please ensure your orders are placed on time due to delivery delays that are sometimes from 3 to 6 weeks. Do not hesitate to contact our support team for booking arrangements. 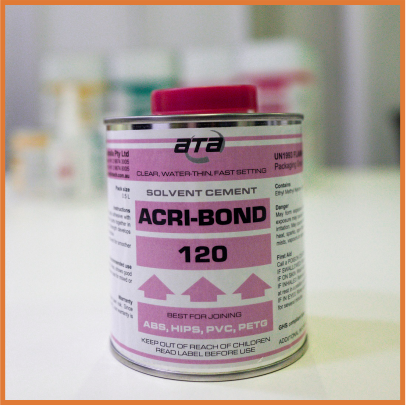 All our adhesives are supplied in UN-approved metal containers made of quality steel. 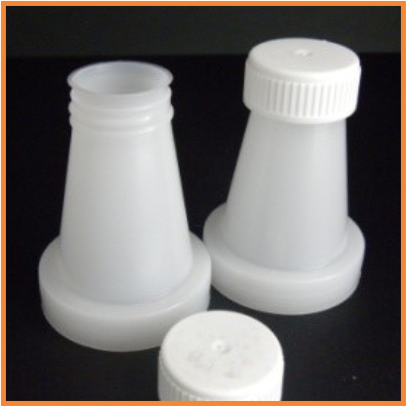 For prolonged shelf life and safe storage we provide a safety sealed cap. Squeeze side safety clip to unwind the red cap. When supplied, the seal should be untouched. To open, pull up and remove seal membrane. All cartons are labelled for safe road transport as per the Dangerous Goods requirements. A large white easily readable label with product name is also included in upper left corner for safe storage when in the warehouse or on the shelf. The “This Side Up” and “Handle with Care” labels are fitted on the top of each box and used as additional box seal. When delivered on skids or pallets, the outer box labelling is exposed to outer sides for easy product determination, helping transport companies to deliver safely to our distributors and end users. ATA launched smaller cartons with 6 x 0.5Lit cans as more convenient packing. There are also various “TRADE PACKS” providing various product mixes supplied in 0.5Lit cans to suit particular job or project. 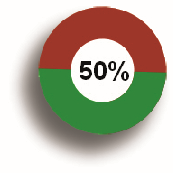 Ask your supplier for availability. Although our products are designed for Industrial use, we are experiencing more and more calls from hobbyists, Colleges and TAFE and DIY users. Accordingly ATA applied rigorous self assessed and self applied rules about showing warning signs to all products and sizes although may not be required by Industry bodies and regulators. 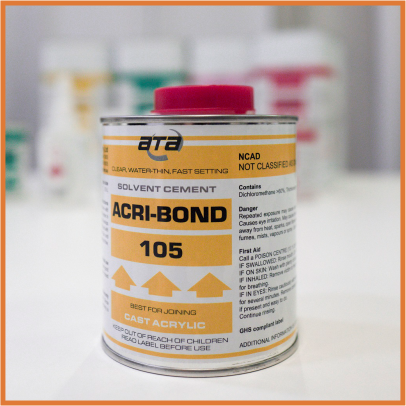 All our standard products are subjected to rigorous manufacturing procedures that were established to provide consistent quality and prevent any danger during handling. The information contained herein is produced in good faith and is believed to be reliable but is for guidance only. 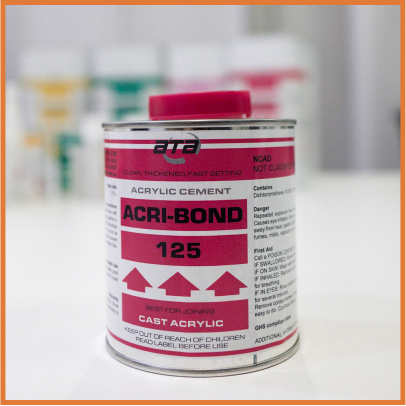 Acrylic Technologies Australia Pty Ltd can not assume liability or responsibility for results obtained in the use of its products by persons whose methods are outside or beyond our control. 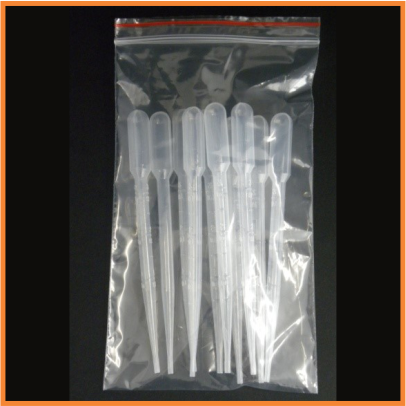 It is the user’s responsibility to determine the suitability of any of the products and methods of use or preparation prior to use as mentioned in our literature. Furthermore, it is the user’s responsibility to observe and adopt such precautions as may be advisable for the protection of personnel and property in the handling and use of any of our products. If we can be of assistance when creating your own Material Safety Data Sheets (MSDS) Station (Central DG Document registrar), please do not hesitate to contact us directly or any of our distributors.